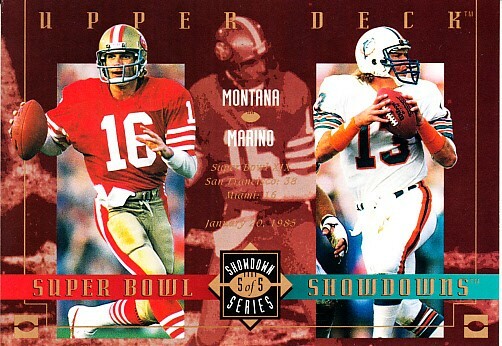 1993 Upper Deck Super Bowl Showdowns 3 1/2 by 5 inch jumbo card featuring Dan Marino and Joe Montana. About NrMt-Mt condition. ONLY 2 AVAILABLE FOR SALE.